Home / Beveel Blogs / Recommender Systems / Does The World Need Better Recommender Systems? 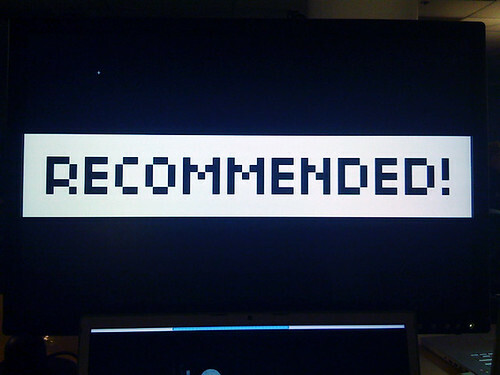 Does The World Need Better Recommender Systems? Do you see what you would like to buy among the recommendations? Do you trust the retailer to give you the best price for what you want to purchase? I don’t think so and therein lies my point. Even in 2017 we, as consumers, take considerable amount of time finding the right product. Industry statistics quote that “36% of consumers spend 30+ minutes comparison shopping before making a decision on purchasing a commodity product; 65% spend 16+ minutes doing so.” . If recommendations did work as expected then we wouldn’t be spending time on deciding to buy things we want, think gazing at a grocery aisle or a apparel store for 16+ minutes. Contrary to shopping by themselves, many of the millennials as well as the older generations are prone to buying through social recommendations. About 84% of the online purchasers consult social media sites for recommendations before they make a purchase online . Also customers like us count reviews as a mandatory aspect of product decision, if you’re wondering how many of us – then it’s 55% of us actually look for reviews . Why then do online stores do such a poor job of recommending products? The challenge of today’s retailers, as we’ve come to believe are, they are trying to make sense of an entire personality of a customer, their likes, dislikes, potential wants from the contextual transactions relevant to them. The challenge with personalization also lays in the fact that there’s no single repository of all customer information. Retailers identify customers, contextually to their business and have only a slice of the personal self. This contextual slicing of personal data is what causes all the chaos and disharmony. While the digital mediums for customers keep expanding, the information and access to those contextually rich data sources are under the walled garden of these platforms and are accessible through digital advertising. So acquiring multiple data sources, understanding the customer in a much more fuller manner is key to recommending the right products to them. With multiplicity of devices, platforms and IOT we believe building a recommendations platform is a much bigger challenge than suggesting products online. It’s actually the problem of personalizing life, in general, and providing a personable and personal information through all walks of customer life. We believe the problem still remains unsolved and it’s our goal to solve this problem.